The K-Team Combat Jiu-JitsuProgram, has created a curriculum that demonstrates the core techniques and principles that every K-Team member should know. Focusing on the Self-Defense aspect of Jiu Jitsu. This program is great for ensuring that each new student gets a high quality introduction into Self Defense while allowing for more advanced students to perfect the basics. The Brazilian Jiu-Jitsu Basics Program, demonstrates the core techniques and principles that every Jiu-Jitsu practitioner should know. Focusing on the Sport aspect of Jiu Jitsu. This program is great for ensuring that each new student gets a high quality introduction into Jiu Jitsu while allowing for more advanced students to perfect the basics. The goal of this program is to prepare the white belts to achieve their blue belt and beyond. We will teach your child to use verbal assertiveness to deter bullies and several non-violent self-defense techniques to stay safe if physically assaulted. Importantly, we don’t teach how to punch or kick, since this often does more harm than good. Instead, we use leverage-based control holds to neutralize threats without violence. Numerous school districts have embraced the defensive nature of the Keiki Self Defensetechniques as a reasonable, nonviolent response to bullying and some even host Keiki Self Defense classes on campus! The bottom line is: we will prepare your child to defend themselves against bullies without turning them into one. 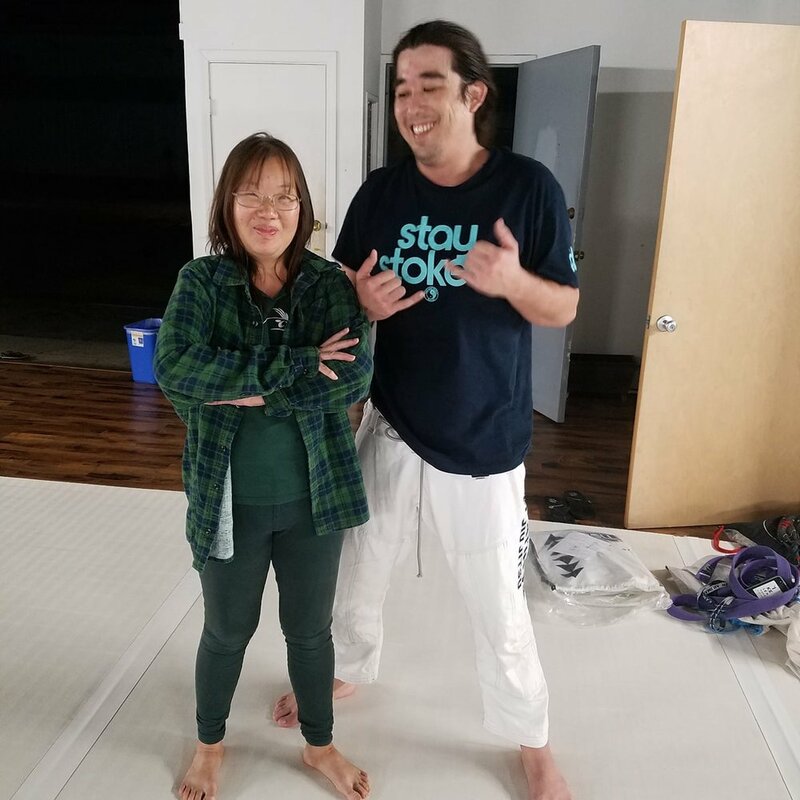 If you’re interested in instilling your child with unshakable confidence while reinforcing positive values and good character, the Keiki Self Defense program is for you! 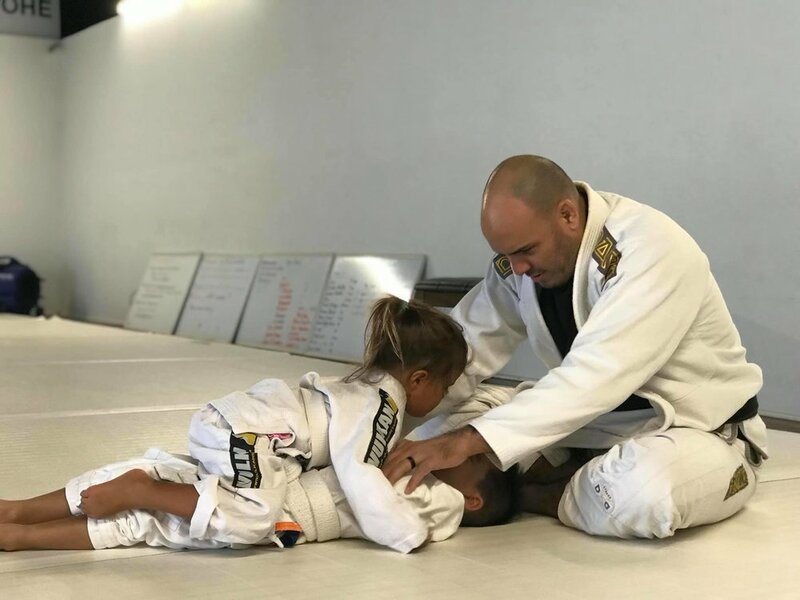 Even if your child has previously tried Brazilian Jiu-Jitsu (BJJ) and had a negative experience, we can assure you that they will absolutely love the Keiki Self Defense program!